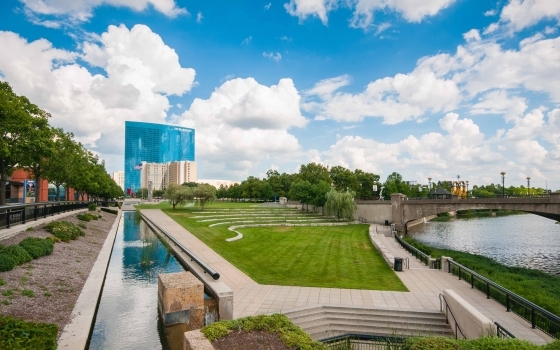 Indianapolis is bursting with pride over its six unique Cultural Districts: The Canal and White River State Park, Fountain Square, Indiana Avenue, Market East, Mass Ave and Wholesale District. Four of the six districts have homes directly in Downtown Indianapolis, while Fountain Square is just a mile southeast. You've probably heard of or even visited several of these areas before, but here's a more detailed look to really understand all that each district has to offer. Head west in Downtown and discover an area unlike any in the city. Indiana Avenue is the anchor of the district that stretches between the Central Canal and White River, encompassing many neighborhoods and IUPUI. It is where history, music, restored neighborhoods and spirituality come together to showcase Indianapolis's rich African-American heritage. It's rhythm. reborn. As early as the 1800s, this area was a vibrant social, commercial, residential, spiritual, educational and economic community. 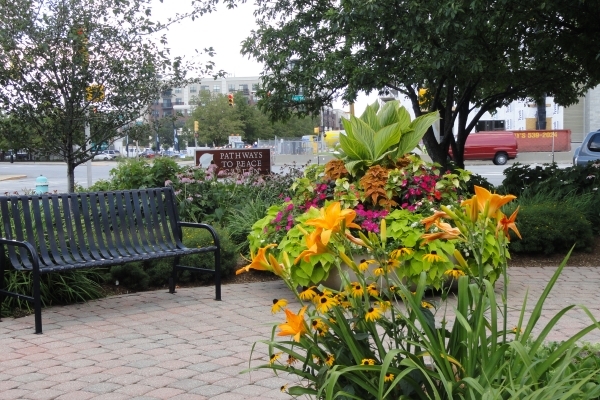 West of Downtown is an area that showcases Indianapolis’ rich African-American heritage. Indiana Avenue anchors the district that stretches from the Central Canal to the White River. This diagonal gateway to Downtown is home to the IUPUI campus, the city’s life sciences initiative and a collection of major medical campuses. In the 1920s and ‘30s, Indiana Avenue was the place for jazz. Keeping that tradition alive, the community hosts festivals and performances throughout the year and showcases jazz-themed outdoor art. Madam C.J. Walker's rise from poverty to become America's first self-made female millionaire brought much fame to the Avenue. Her business savvy and successful line of hair care products led her to move the company headquarters to Downtown Indianapolis in 1910. Indiana Avenue grew into a training ground for young professionals interested in various trades, from selling Walker products to assimilating the newest art form - jazz - into the neighborhood. Madam Walker began developing the Walker Building prior to her death in 1919. The four-story flatiron building originally was planned as the corporate headquarters and factory for the Madame C.J. 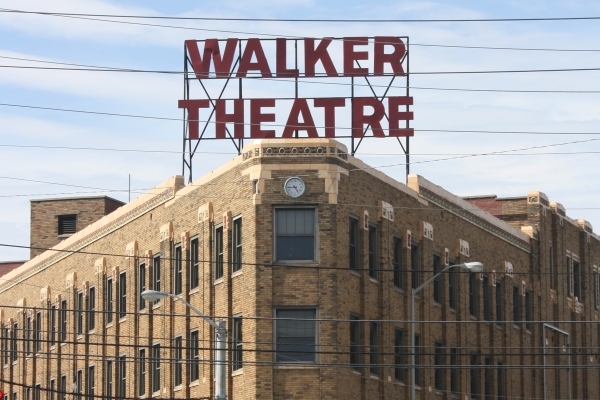 Walker Manufacturing Company, but when the doors opened in 1927, it had become much more. It housed a drug store, beauty salon, beauty school, restaurant, professional offices, ballroom and a 1,500-seat theater. 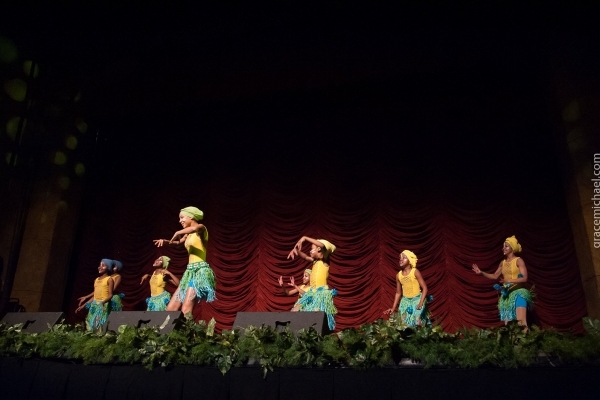 Today the Madame Walker Theatre Center, educational, entertaining and family-friendly, offers a myriad of programs, performances and services. Experience Indiana’s African-American history and culture through the actors and singers of Freetown Village located in the MWTC. Art abounds in the historic Stutz Arts Gallery. The myriad artists who make up the Stutz Artists Association all share the common love of art but widely diverge from there. At the intersection of North and Martin Luther King Jr. streets stand five bronze sculptures honoring Indiana Avenue’s musical history. Untitled (Jazz Musicians) by John Spaulding depicts five jazz musicians, including his father, James, on guitar, his brother James Jr. on saxophone, Freddie Hubbard on trumpet, "Killer Ray" Appleton on drums and Larry Ridley on bass. Jammin' on the Avenue byJohn Spaulding is a collage of brass instruments at the front entrance of the Lockefield Gardens apartment complex. The work consists of saxophones, trumpets, sousaphones and trombones welded into a vertical column. 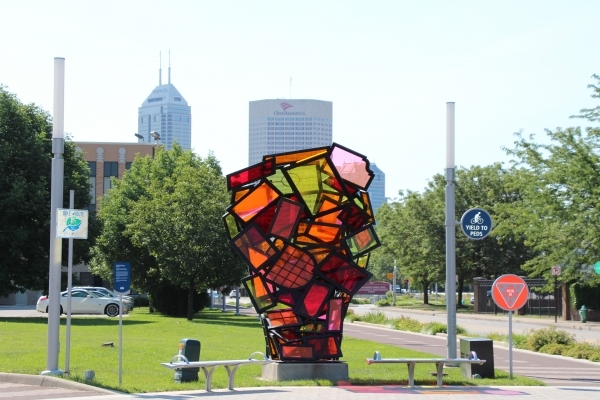 Indiana University's Herron School of Art and Design in Indianapolis partnered to create sculptures in the area including "Looking Through Windows" by Michael Kuschnir which was installed April 25, 2012 at the corner of Indiana Ave. at West St. Clair Street and Paca Street. Bethel African Methodist Episcopal Church (1867) is considered the "mother church" of Indiana's African Methodist movement. 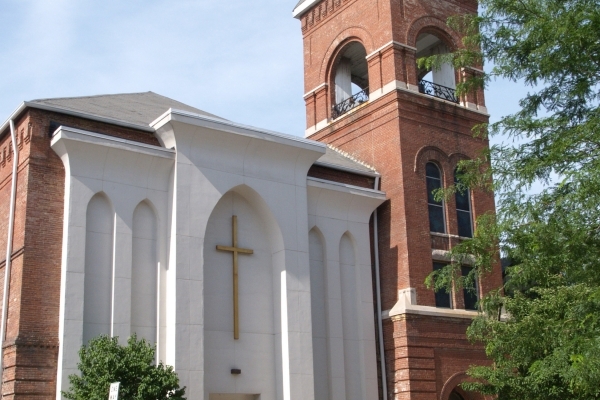 The Bethel AME congregation got its start in 1836. A fire destroyed the original building in 1862, possibly in retaliation for congregants’ involvement with the Underground Railroad. The current building was constructed in 1867 and is listed on the National Register of Historic Places. It is the site of Indianapolis' first NAACP chapter and still is the meeting place for the 172-year-old congregation. Madame C.J. Walker Building (1927)is one of the best examples of flatiron (triangular) architecture in Indianapolis. The Building housed the company's corporate offices and factory, a ballroom, theater, restaurant, hair salon and office space for African-American professionals. The building was restored in the 1980s and is a venue for musical events and performances. Crispus Attucks High School (1927) wasIndianapolis' only segregated high school (desegregated in 1971) and named for a runaway slave who was the first American killed in the 1770 Boston Massacre. The brick and terra cotta Collegiate Gothic/Tudor Revival-style building is a classic example of early 20th-century school design. Now called Crispus Attucks Medical Magnet High School, it also houses a museum highlighting the school's history, which includes one of its most famous graduates, Oscar Robertson.